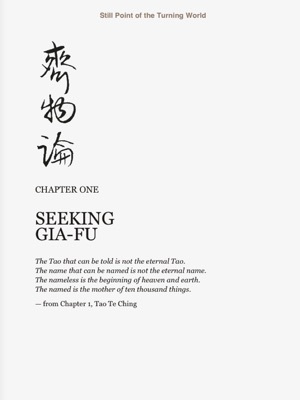 This moving book by Carol Wilson chronicles the life of Gia-fu Feng, author of the best-selling translation of the Tao Te Ching and Chuang Tsu: Inner Chapters. Born to a wealthy, traditional family in Shanghai, this modern-day Taoist rogue lived through tumultuous periods of exponential change in China and then found himself stranded in America, with the home he knew crumbling before the world's eyes. His path took him to Esalen in Big Sur and the human potential movement of the 1960s. 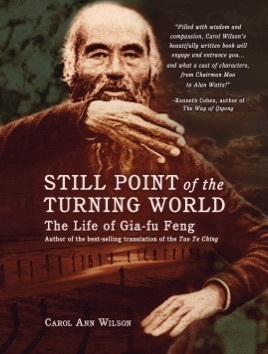 Eventually he founded Stillpoint, a community of Taoist families living simply and honestly with each other in nature.